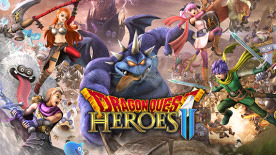 DRAGON QUEST HEROES™ II Explorer's Edition provides a huge arsenal of bonus items! Purchase the Explorer's Edition for a limited time only for the ultimate start to your adventure! © 2016, 2017 ARMOR PROJECT/BIRD STUDIO/KOEI TECMO GAMES/SQUARE ENIX All Rights Reserved.